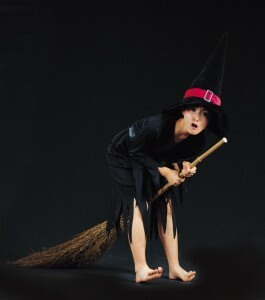 Want to chat to a witch on line, a real witch on line not your media-style witch. Who needs Elizabeth Montgomery in Bewitched, she was far too prissy for your taste, all that art deco, nose twitching and mother fixation, you have enough trouble with your own mum! And as for Sabrina the Teenage Witch, far too worried about fitting into a “Wasp” status quo to interest you. You have also had enough of Charmed, with all those super model-type gals pretending they have magical powers and then running off to have passionate affairs with demons, you have had more demon boyfriends than hot dinners, you could write a book about them! What you want is a bona fide real witch on line. One who talks to toads and says spells in dark forests in the light of a full moon. You need to grab hold of the kind of witch on line who knows how to use lavender scented paper and crimson ink to write a letter that will make wishes come true. You want a witch to get down to her kitchen and clasp a handful of mustard seeds, and as she crushes them into a glass of white wine chant “Warm seed, love run strong; warm heart, let my client and her new boyfriend never part” before drinking it, or at the very least make sure your boyfriend does more interesting things than playing scrabble. You want a passionate, devoted witch, someone like good old Mother Shipton who hung out in Yorkshire in the 15th century and foresaw the existence of airplanes, even though her more important pastimes were healing and spell-casting. You want a witch to wave her sixth finger at you, “alla Anne Boleyn”, but you would prefer not to canoodle with a lookalike for Henry VIII as a fianc please. You dig tough magical types, like the North Berwick Witches, a group of Scottish folk who were brave enough to stand up for their magical beliefs and thrown on the pyres for them. Even the rather dodgy 17th century witch Tasmin Blight, who was good at curse removal, would do you, although her dodgy reputation of hexing folks she found “uninteresting” would make sure you minded your “Ps” and “Qs”. In other words, you want a strong minded, spell-casting, tangle-haired, black-velvet-coated spell-working real witch online to talk about life to. No angelic channelers for you, you like curry, heavy metal bands and rock and roll. You are not afraid of drinking the boys under the table or talking back to a parking warden either. You are not afraid of anyone, and when it comes to getting your fortune read, you don’t want a therapist, you don’t want a channeller, you want a real witch to tell it to you straight, and if necessary create a personal spell for you that will liven things up! You are looking for the type of witch that knows her “Sabbaths from her Imbolcs”, a sorceress type who would have done well as a priest/priestess in ancient Egypt, Greece or Rome, the kind of warlock who would be unafraid to become a member of some secret society and use healing powers to help clients. You don’t want a nasty witch into horrid rituals, but one who goes for real cosmic love and real healing light. An alternative witch, but please no namby-pamby ex flower children to read your cards! You wondered whether you would ever find “the one”, until you came upon a perfect witch online, a certain Valeria, who sent you so much light over the airwaves, you felt that if someone plugged you into the wall you would morph into a standard lamp. The fact is you know what you want, and any witch worth her toad collection would tell you once you know what you want, you can be virtually sure to get it.